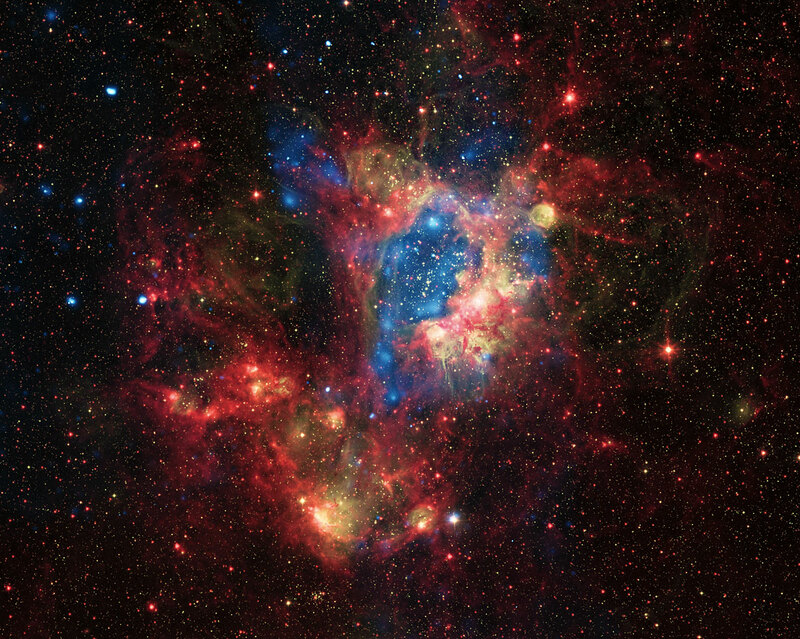 ESO Supernova Exhibition — How dangerous are supernova explosions? 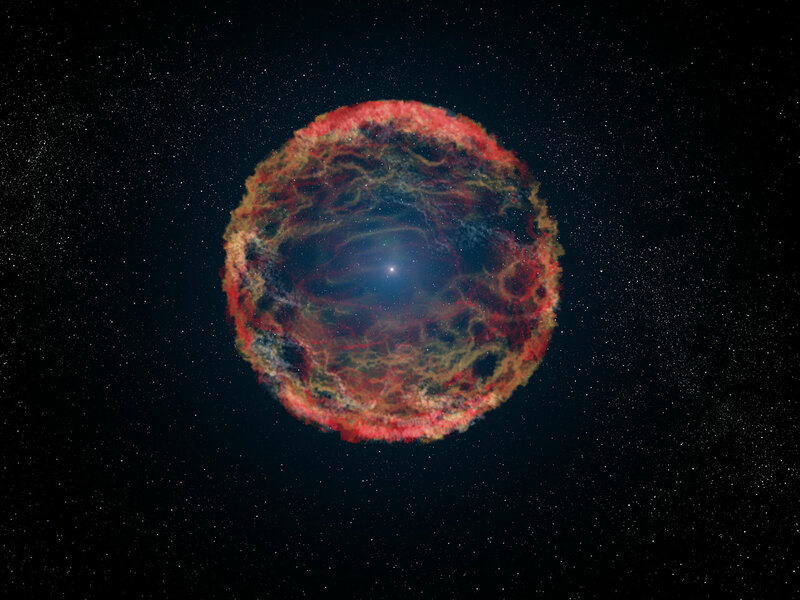 How dangerous are supernova explosions? A supernova explosion produces X-rays and blasts waves of fast particles that would render a planet like Earth uninhabitable if the explosion happened in its immediate galactic neighbourhood. Explosive sculpture: Supernova explosions have carved out a huge empty bubble (blue) in a star-forming region in the Large Magellanic Cloud. Lost companion: A single blue star is left in the centre of an expanding gas shell after its companion died in a catastrophic supernova explosion. Planetary demise: A planetary system could never survive the supernova explosion of its parent star (artist’s impression). Supernovae come in two types: massive stars that explode at the end of their brief lives; and detonating white dwarf stars in binary systems. Both types are extremely powerful, sending energetic radiation and blast waves of ejected gas far into space. If a supernova explosion were to occur within about 25 light-years of Earth, our planet would probably lose its atmosphere, and all life would perish. However, astronomers haven't found any dangerous supernova candidates in our cosmic backyard, so there's no reason to worry. 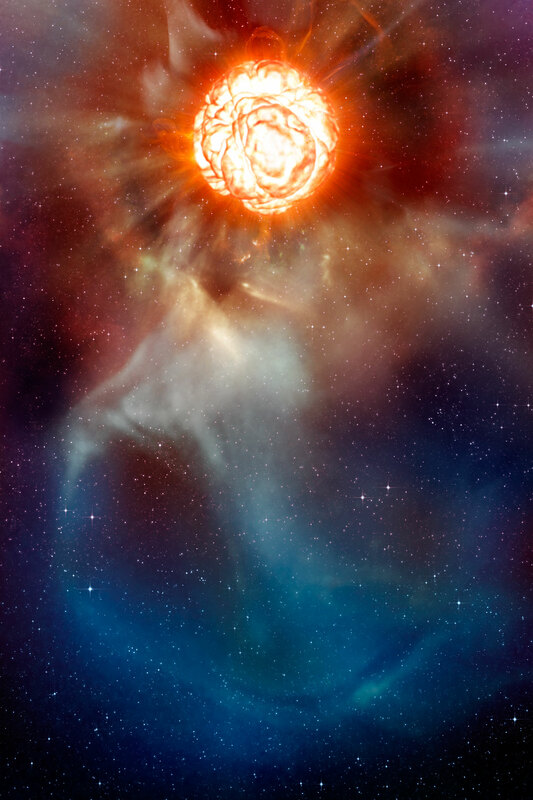 Death row: At a distance of 640 light-years, Betelgeuse in the constellation of Orion is a red giant star expected to go supernova within the next 100 000 years (artist's impression). Massive stars explode at the end of their lives. These explosions are called supernovae. A nearby supernova would be dangerous for life on Earth. Luckily, there are no stars like that close to us.